Bootlegger Guitar Boutique Builder Of Electric Guitars & Tube Amps. We are a boutique guitar company that was developed inside our recording studio “Studio 637“ in Hermosa Beach. Working in the music industry we meet a lot of cool people, jam a lot of blues and see a lot of great gear. With our passion for the blues along with many late night whiskey soaked sessions Bootlegger was pulled from the past and landed in 2014. Our designs are directly inspired by the vintage style that influenced early blues, rock, outlaw and other cool vibes only great guitars and tube amps can produce. Vintage vibe, modern playability and value. Our gear is now played world wide and hope to welcome you into the Bootlegger Guitar family. 98 Proof. 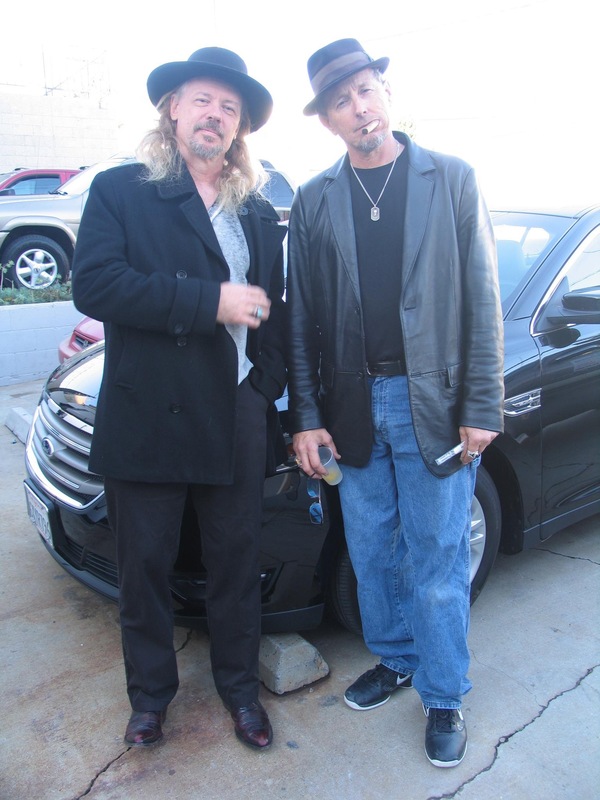 We dig Rock, Southern Rock, Outlaw Country & of course “The Blues”. We also love the geat Whiskey’s from the south. Our designs and colors are influenced by these passions. We use reclaimed whiskey wood staves for our custom amp cabinets, we only build stained not painted guitars due to the rich grains of our quality wood. Our stain choices are taken from the colors you find in used whiskey barrels, from deep charcoals to rich reds, yellows & browns. Our custom whiskey barrel amp cabinets are built by our partnership with River Drive Cooperate Millwork, Maine. We also offer custom head and combo wood cabinets by our partner Ashen Amps Los Angeles. Our guitar designs are built by our friend Ken Kim CEO of Muse Inc, South Korea. Our tube amps chassis are built by the high-fidelity Specialist Shenzhen Grand, China. When not designing, building, jamming, talking or shipping Bootlegger you will find us building custom hogs, racing rally cars and other crazy stuff. We are also innovators designing new useful accessories. We have our patient pending Guitar Bar Hanger. Our other family company is Dirty Racing Products, Florida. We are a performance build race shop. Inspired by the great music & whiskey of the South. Vintage style modern guitars, tube amps and pedals "98 Proof". 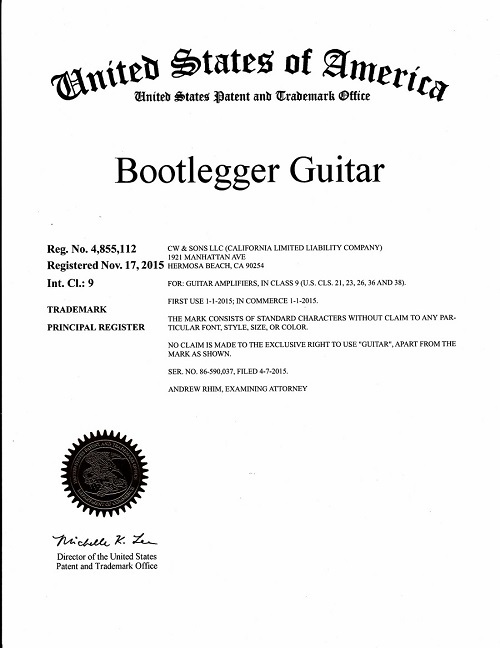 Bootlegger Guitar, Boutique Builder of Premium Vintage Guitar Styles, Tube Amps & Pedals.